Various mainstream media outlets, such as The Nation, CNN, AFP and others, have given a very high assessment of the way the Confederations Cup was organized praising Russia’s sports infrastructure and hospitality. 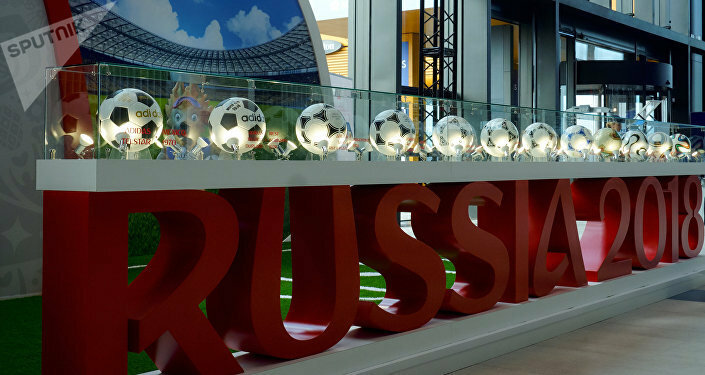 According to the World Cup 2018 Local Organizing Committee CEO, Alexei Sorokin, the Confederations Cup has dispelled stereotypes about Russia and improved its international image. “The World Cup is the biggest single event in the world. It’s a great honor to host it in Russia and for VISA to be one of the six international sponsors of this event. We would like to make our own contribution to this event,” Yekaterina Petelina said. “[VISA] has put together some 2,000 new sales terminals at stadiums and opened an additional 7,000 at various FIFA-related locations in various Russian cities. We have also presented some new innovative products, working together with Alfa Bank and are all set for a full-fledged show,” she added. VISA has been a sponsor of various sporting events, such as the Olympic Games, the National Football League and FIFA over a number of years. Yekaterina Petelina said that the Olympic Games and FIFA are, naturally enough, closer to Russian hearts. “I think football is the most popular sport in Russia and in many other countries too. We are looking forward to a spectacular event. As sponsors, we have our own business goals here, such as promoting our brand, having more transactions and advancing innovations. During the Confederations Cup every third VISA transaction was contact-free and many were done via mobile devices,” she noted. She added that high-profile events like the World Cup help to promote Russia worldwide, stimulate tourism and to unite people and countries. “These are also something you can use to bring your goals and your passion together and devote your time to something wonderful that happens only once in a lifetime,” Yekaterina Petelina concluded. Russia will host the FIFA World Cup for the first time in 2018, with the championship set to kick off on June 14 and continue through July 15. Moscow, Kaliningrad, St. Petersburg, Volgograd, Kazan, Samara, Nizhny Novgorod, Saransk, Rostov-on-Don, Sochi and Ekaterinburg will host the games.